What Can We Do to Ensure that Children with Learning Disabilities Get the Support They’re Entitled to? Recent research has shown that in some parts of the UK 70% of children with a learning disability are not getting enough time and help from their teachers. Clearly, this is a very worrying figure. Children with learning disabilities are just as entitled to look forward to a happy future as any, but it seems that without the support they need, it might not happen. 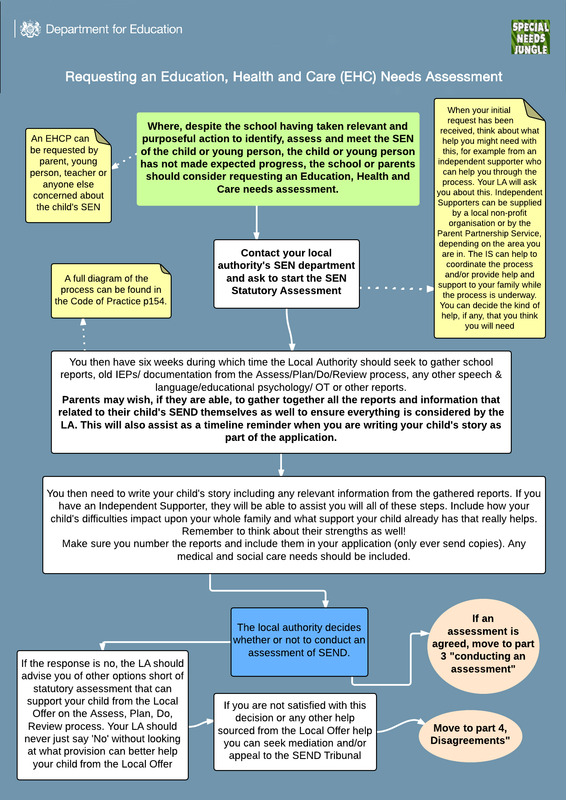 So, what can we do to ensure that children with learning disabilities get the support they’re entitled to? Here are a few steps that must be taken both inside and outside the classroom. The first step in ensuring that children get the support they need at school is to reinforce the fact that they truly are entitled to it. Article 2 of the Human Rights Act, Article 28 of the UN Convention on Rights of the Child and Article 24 of the UN Convention on the Rights of Persons with disabilities state that that disabled people have a right to receive an education. There’s a presumption that all children will attend mainstream education, unless there are specific circumstances for them to attend a specialist school. If you think a child needs to attend a specialist school, the child will need an Education, Health and Care Plan – you can find out how to apply for one here. If the child is in mainstream education, they still have a right to receive a ‘special educational provision’, which is usually referred to as ‘SEN’ support (special educational needs). This applies to all mainstream schools, nursery schools, mainstream post-16 institutions and early years educational establishments. Schools need to be equipped with the necessary SEN resources and materials (available from suppliers such as this one), as well as staffed with qualified professionals to help children with learning disabilities to flourish. If you don’t think a child is getting the SEN support they need, take a look at the advice from the NHS, and read the support and information available on Mencap’s site too. Of course, children with learning disabilities need support outside of the classroom too. The level of support a child receives in their home environment can have a huge impact on their wellbeing and future success so far as social, educational, financial and practical aspects of their lives are concerned. So what can parents and care givers do? Well, first and foremost, parents and care givers need to be advocates for their children to ensure they’re in the right learning environment, and that changes are made if necessary. Parents and care givers will also need to educate themselves on how to manage learning disabilities, what to expect, and how to help themselves too. It can be hard to digest a diagnosis of a learning difficulty, and just as hard to adjust and manage as a family. And finally, in order to give the best support possible, parents and care givers should prioritise their wellbeing, taking breaks from responsibilities when they can, and reaching out to charities, social workers and health visitors for advice, support and assistance. Financial support is available, and family support programmes are offered by organisations and councils to help support entire families as well as individual children. The Child and Adolescent Mental Health Service Learning Disability team (CAMHS LD) offers specialist psychological, emotional and behavioural support for children with a learning disability and their families. The team is based at both The Aldrington Centre, Hove and Seaside View Child Development Centre, Brighton General Hospital. To find out more about the CAMHS service see their page on Brighton & Hove City Council website.